Don’t read me the wrong way, but there is a lot to be said for a quality firearm. Heckler & Koch manufacture some truly magnificent pieces. If I had my way, I’d have an MR556 as my go-to AR-pattern rifle. But when the base rifle clocks in at $3100, it gives you pause. Even the bolt carrier group is $500. For reference, a quality Bravo Company Manufacturing bolt carrier group will run you about $170. 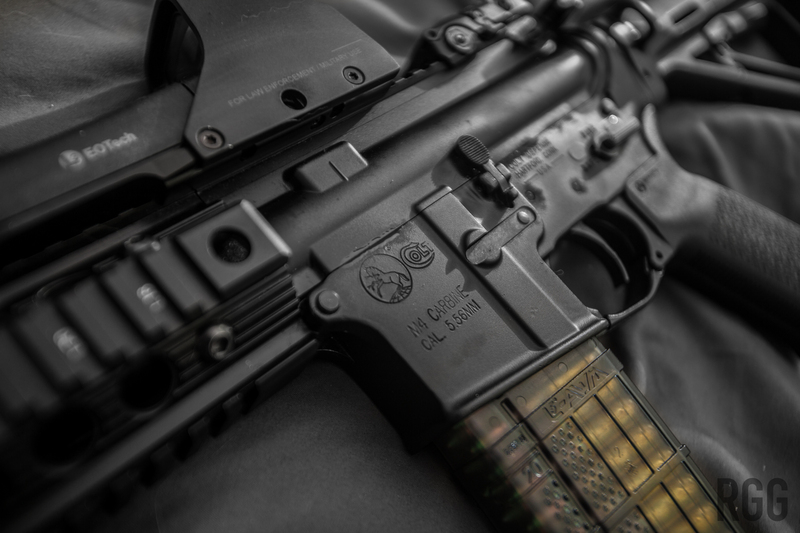 For reference, every law enforcement and military person I’ve talked to considers BCM to be one of the top-tier manufacturers in the world. However, at the end of the day, unless money is no object, you really just have to think about what you wish to have the gun for. Especially with AR-pattern rifles, don’t get hung up on the brand too much. I bought my first AR, a Colt LE6920, a little after the panic subsided after the Newtown tragedy. Us Americans are a cantankerous bunch. If the government threatens to ban something, we don’t nod and smile like good little subjects, we go out and buy as many of whatever thing they want to ban as possible. I did so on the tag end of those histrionics. Fortunately, I found a retailer who wasn’t gouging too horridly, and I snagged the Colt for $900. You can get a similar kit for $800 these days. Other quality ARs by smaller shops run even cheaper. The photo above depicts the Colt it’s original state. I actually bought the optic prior since I knew I was planning on getting an AR soon at that point. Think about it this way. What do the working professionals use? Now, I’m not referring to special operations teams or precision shooters, but your average workaday grunt in the field, or your average cop on patrol. They go with a specific brand, and usually that brand isn’t anything fancy. Does the cop get issued an MR556 as his long gun? No. He’s issued a Colt, probably an LE6920. Why? It’s cost-effective, proven reliable, and any minor deficiencies in the gun can be overcome with training. Is his sidearm a Wilson Combat Custom 1911? Actually maybe, but he probably paid for it himself. If not, his sidearm is a GLOCK 17 or GLOCK 19. $500 pistol versus a $2500 one. Again, the bad guy will go down the same way if he’s shot by either. This is where it pays to do your research. Look around. See what the working professionals use. We knock the government around a lot here, but one thing they usually get right is the issued firearms for their armed professionals. Lives are on the line, and the gun has to do the job, 99.9999 percent of the time, at the lowest cost. The local cops use Colt rifles. I got the same exact rifle they did, and I couldn’t have been happier. Also, at least with ARs, consider this. The rifle you are buying is a “base rifle”. It comes with whatever you need to get going. And, since the AR is officially the Lego set for adults (In most jurisdictions…), you can mix, match, and upgrade as you go along. My Colt shipped with nothing fancier than the Magpul furniture kit. As I progressed, I swapped the components. 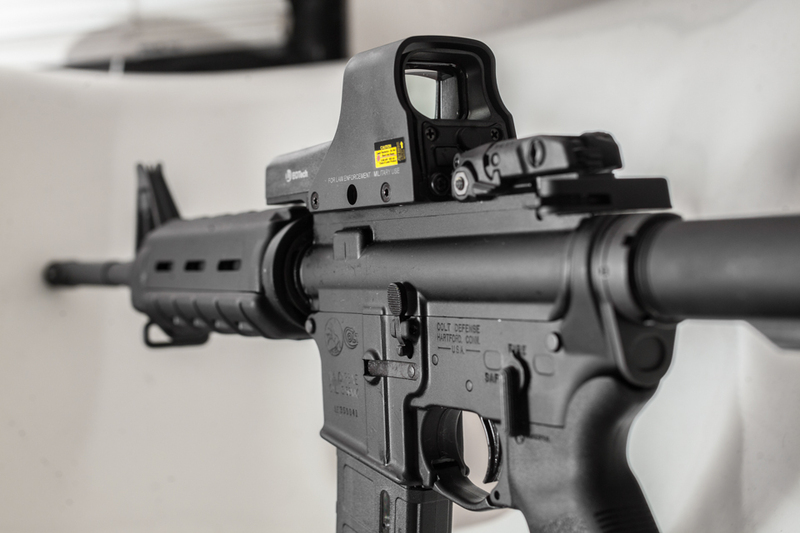 The polymer handguard gave way to a Troy Industries quad-rail setup. Then down the line I experimented with different buffer weights, a super-tough Sprinco buffer spring, and ultimately, a Silencerco Specwar 762 suppressor. A base $900 rifle, over the course of a year or so, mutated into a $2500 rifle that is plenty accurate and reliable for what I’m doing, which is self-defense, recreation, and maybe soon some competitive work. If you can afford an MR556, get one. I’ve never fired one before, but from what I see, it’s amazing and runs like a dream. If the quality of my H&K VP9 is any indication, the MR556 is most likely out-of-this world. If you want that custom 1911, get it. Heck, if you want to blow $2000 on an AK variant, go for it. Not sure what the point of that is but it’s your money. Truly premium firearms are like luxury cars, you can feel the difference. You pay a huge premium for that last “five percent”, though. But when the rubber meets the road, and all you have is your GLOCK or Colt? Trust me, your skill and training will be way more important than the brand of gun you have.